Panel Discussion: Interdisciplinarity: The Future of Computer Science? Thomas Moscibroda is a Post-Doc Researcher in the Distributed Systems and Security Research Group of Microsoft Research in Redmond. Before joining MSR, he was a PhD candidate and research assistant in the Distributed Computing Group of Prof. Roger Wattenhofer at ETH Zurich. He received his M.Sc. 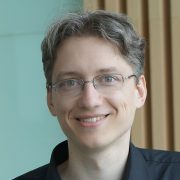 in Computer Science in 2004, and his Ph.D. in July 2006, both from ETH Zurich. 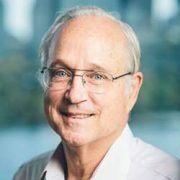 His main research interests are distributed computing and systems, networking, as well as algorithmic aspects of computer architecture. For his research, he has been awarded the ACM PODC Best Student Paper Award, the SIGMOBILE MOBICOM Best Presentation Award, and he is the recipient of the ETH Medal for an outstanding doctoral thesis at ETH Zurich.